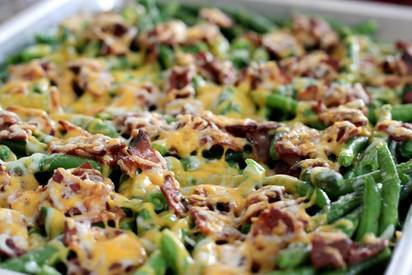 How about these- Baked green beans with Bacon and cheese? Bacon is the key to this dish. This totally takes the healthiness out of eating your vegetables, but every once in a while it's okay. Especially for Saint Patrick's Day!